BAKE! 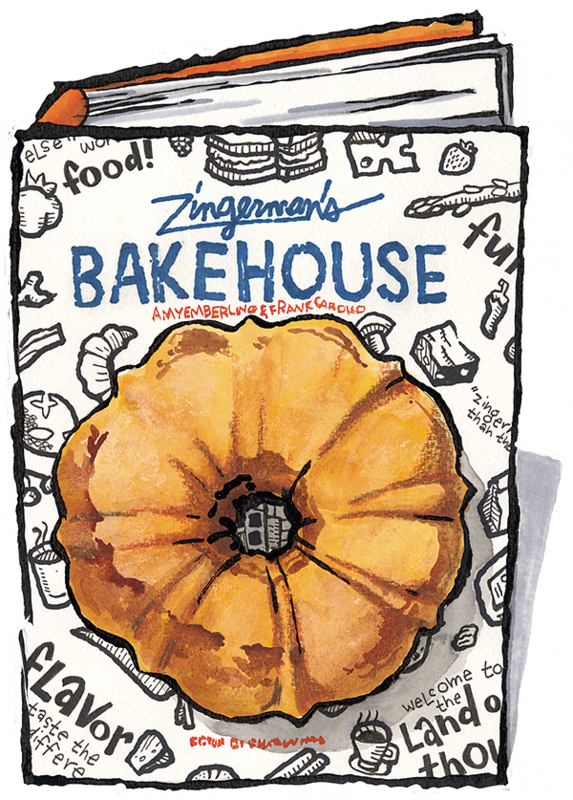 is Zingerman's hands-on teaching bakery in Ann Arbor, MI, tucked between Zingerman's Bakehouse and Zingerman's Creamery. We offer dozens of different bread, pastry, and cake hands-on baking classes and sometimes cooking classes in our teaching kitchens. All of us at Zingerman's Bakehouse know the joy and excitement of baking something really good and sharing it with friends when it's hot out of the oven. You'll leave our baking and cooking classes with that same joy, the food you made in class and the inspiration and skills to bake at home! Unleash your creativity on cookies! Decorated cookies make great gifts, party favors, stocking stuffers and holiday centerpieces. In this class, you'll learn to make our tasty sugar cookie dough and use a variety of decorating techniques. You'll make your own cookie dough and fresh fondant from scratch to take home. We'll show you how to decorate with fondant and royal icing, and then you'll get plenty of hands-on practice. We provide an assortment of cookie cutters, but you're welcome to bring your own (3" to 4" please). You'll leave BAKE! with our recipes, the knowledge to recreate them at home, fondant and a dozen dazzling decorated cookies you created yourself, plus great coupons. You'll leave BAKE! with our recipes, the knowledge to recreate them at home, a 6-inch cake you decorated in class, fondant to use later and great coupons. whAt hapPens at A BAKE! claSs? The hands-on teaching bakery at Zingerman's Bakehouse in Ann Arbor, MI. At BAKE! we share our knowledge and love of baking with the home baker community, seeking to preserve baking traditions and inspire new ones. We offer dozens of different bread, pastry and cake hands-on baking classes and sometimes cooking classes. What are our baking classes like? Very hands on! Roll up your sleeves and dig in. This will help you learn the recipes. Though we do offer a few demonstration classes for those who prefer to just observe. Designed for home bakers of different skill levels! From those of you who have never touched a measuring spoon in your life to those who feel pretty accomplished and want to learn more. Available for all ages! Adult classes (17 to infinity) and family classes (adult with a child of 7+). Informative! Each class includes a discussion of ingredients and a time to taste in order to understand the value of using flavorful ingredients and using traditional methods in you baking and cooking. At Zingerman's we say "You really can taste the difference!" A comfortable place to learn! Class size is limited to a dozen students and includes at least two instructors. You'll get one-on-one instruction and all of your questions answered. Guaranteed to fill your belly! Not only will you be tasting what we create in the class, you will be returning home with your own delicious baked goods to share with friends and family. We do all the measuring and cleaning up!